The family of Sue Silliman would like to thank their friends and neighbours in Capel for the support and friendship shown to us during Sue’s illness and recent sad death. Your kindness has been very appreciation. Sue was very happy to be a resident of such a great village for the past eight years. Thank you. David, Cathy and Kyle Silliman. ST JOHNS GROUP OF ARTISTS Have you wanted to learn to paint and draw but don’t know how? We are a small happy relaxed group, meeting in the Capel village hall every Wednesday morning 9.30-12-30. Please call us on 07903 349252 to find out more. We look forward to hearing from you. 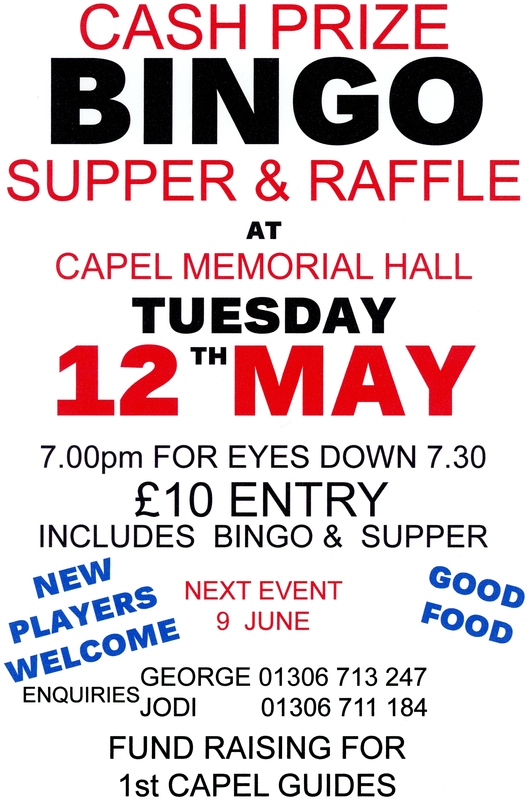 Come along for Bigno and Supper at Capel Memorial on 12th May 7pm for eyes down at 7:30pm. £10 Entry includes bingo and supper. Funds raised will go to 1st Capel Guides. 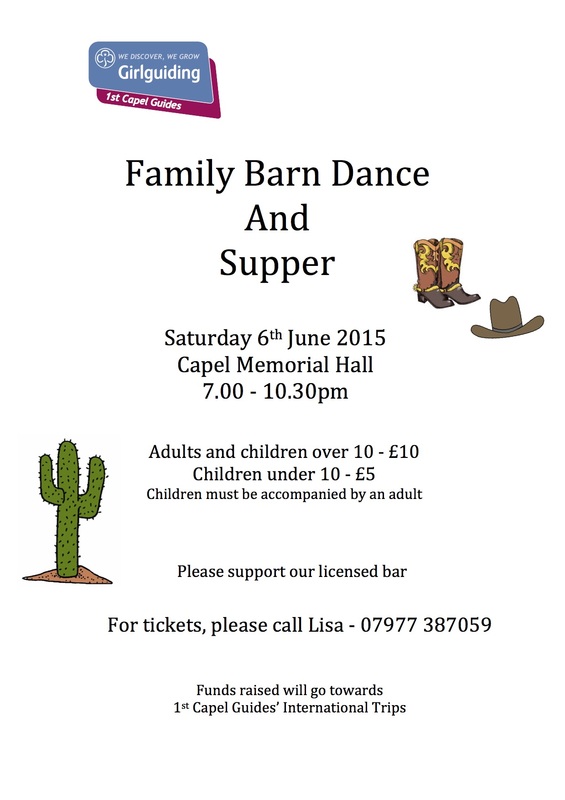 Join 1st Capel Guides on Saturday 6th June 2014 at Capel Memorial Hall for a Family Barn Dance and Supper 7-10:30pm all funds raised will go towards 1st Capel Guides International Trips.